A fundraiser has been set up for two-year-old Zoe Murphy, who has quadriplegia and cerebral palsy, following an article which appeared in last week’s Dundalk Democrat. 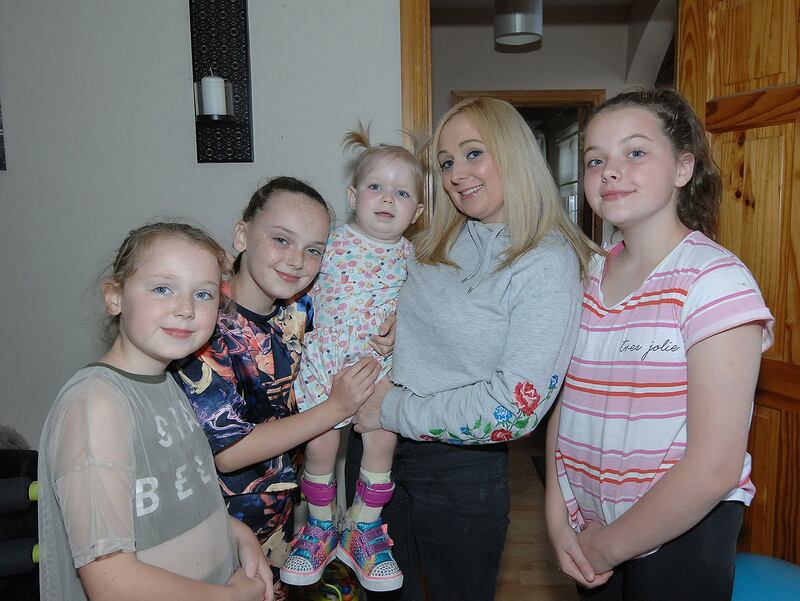 In the article, Zoe’s mum Lynda, who works in PayPal in Dundalk told of the incredible improvements she has seen in her daughter just two weeks after starting her on medicinal cannabis oil and how she would never take her off it. The Dundalk mum has credited CBD Oil with the fact that Zoe, who she was told could be in a wheelchair for life, started to take her first steps and allow her to communicate and socialise, when she had previously been non-verbal. In the article in last week’s Dundalk Democrat, mum Lynda explained her goal was to build Zoe's strength up so that she can travel to the US to get an SDR surgery carried out next year, which will cost around €100,000. So far, almost €2,000 of €100,000 has been raised, and Lynda is hopeful that kind strangers will continue to help little Zoe out by donating online. Lynda told the Dundalk Democrat: “CBD network Ireland saw the article and created a GoFundMe page for Zoe to help with the surgery in America. “I'm so delighted, I just look at Zoe now and I feel so hopeful for her future. The Dundalk mum also told how they received a years supply of CBD Oil after an article appeared in the Daily Mirror.